New York Slip and Fall — A New Theory of Liability? I’ve been rather busy work-wise, but didn’t want to let this one slip through the cracks like so many other potential posts. Because how can you let a new theory of liability on a common fact pattern, apparently never tested before in New York, just slip away? The fact pattern is this: A self-service store (supermarket, Wal-Mart, etc.) with refuse on the floor. Patron slips, falls and is injured on the refuse. A fairly typical type of personal injury case. 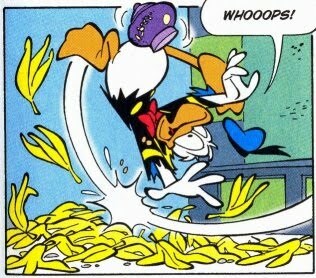 To hold the market accountable, we’ve long been taught that notice of that banana peel sitting there was needed to prove liability. This can be done either by showing that the store had actual notice of the debris (someone complained or an employee saw it), or that the store should have known it was there (constructive notice). Constructive notice might come up if the injured person points out that the banana peel was black, for instance, in trying to show it had been there for a long time. Because we’ve been taught that you can hold a store liable if it knew (or should have known) of the mess. The rule provides that If a proprietor could reasonably anticipate a hazard could arise based on the manner in which his business regularly operates, a plaintiff does not have to prove actual or constructive notice of the hazard…. Lou, who defended cases for decades as a trial lawyer with Liberty Mutual, has much more at this link: When will New York adopt the Mode of Operation Rule? It seems nearly impossible to create a self-service environment without some sort of injury risk.